The countdown is on to one of the most glamorous nights of the year as David Essex OBE is awarded with a Variety Lifetime Achievement Award at the Palace Hotel in Manchester on 20th Oct 2012. I spoke to him this morning during a band rehearsal break to congratulate him. Thank you. It's an honor, always a little bit worrying to receive a lifetime achievement award when I’m still working so much, but I think I’m ok, I’m gearing up for my tour that starts shortly after it. Yeah, it's a really nice thing to be getting the award from variety. I've done so many things that it's nice to be recognised. It's ironic really because the variety club gave me an award in 1973 - most promising newcomer. Since beginning his career in show business in the early 70s, David has scored two number one hits, 19 Top 40 singles and 16 Top 40 albums. He’s also a seasoned screen veteran having appeared in a wide array of films and TV shows, most recently starring on Eastenders as ‘Eddie Moon’. I started off in a blues band and the manager of the band was a theatre critic and academic, the band fell to bits and he asked me if I wanted to be a solo singer and introduced me to theatre and ever since then it's been great, I’ve been able to work in all these different medias. Critics have been raving about David's portrayal of the character; saying he’s brought humour to a sometimes humourless east end. Yeah, it's worked a treat, it’s actually quite tricky to get it right when you have a big story line, and they can be fast and furious. I remember Steve john shepherd (Michael Moon) and I, one day we had 28 pages of dialogue to do between us. If I was doing a film and I did 3 pages of dialogue in the whole film that would be considered good. It’s not easy but it did work very well. I understand that the part nearly didn’t happen? Yes the first time around the timing was out and the character wasn't particularly interesting but then I went in and had a chat with the writing team and we developed Eddie Moon, which seemed like the right thing to do. I'd always said I can only do 5 months because I had to come out and tour with 'All the fun of the fair'... but yeah, Eddie Moon seems to have been very popular, everyone asking me if I can go back - I didn’t lock the door but I think the doors shut. The viewing figures went up to a 10 year high when I was in it, that’s really nice. I did watch the show the other night and the Moon's appear to be dissipating all over the place, they're all disappearing. It is impressive that you find the time to record, tour and film at such a productive rate. How do you squeeze it all in? I'm not sure, I think moving from one medium to another helps to keep it fresh. At the moment I’m writing music for a new film, hopefully I’ll get that finished this weekend. Then rehearsals with the band, then a little trip up to Manchester to collect my award and then of we go to start the tour in York. Music’s where I came from, it's nice for the band and I to get back on the road. I always feel most comfortable when there is music around. Looking back at your career do you have a favourite golden era? Yes, for me the 60's were very important, that was the purple period of music for me, the American Blues artists were a big influence on me. I started in blues bands in '63 that was a very special time to be in England, also the 70's it was great to be part of that and then into the 80's. Yes, I did a film with Ringo and I knew all the members of the band but they were a little bit before my time. When they started to get big I was still playing in dirty basements and sleeping in a Bedford dormobile with blues bands. 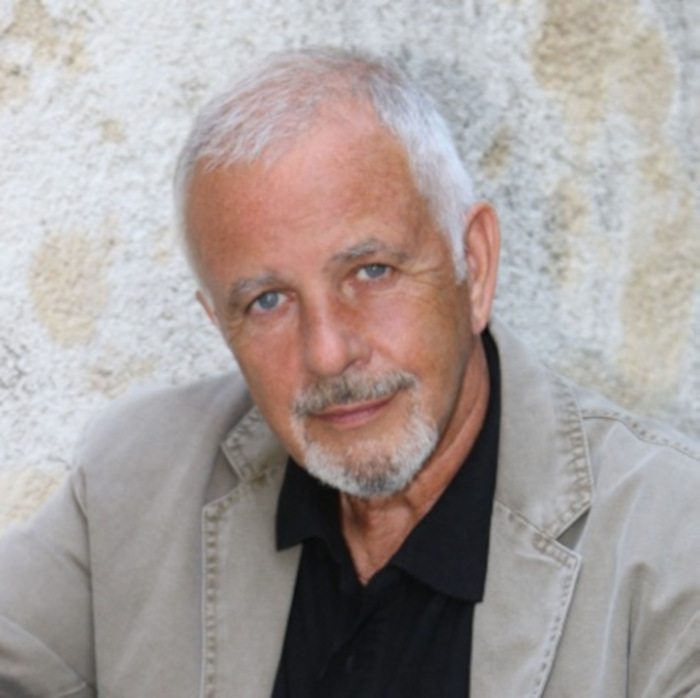 What next for David Essex? I've just finished a film called Traveller, it's a very powerful film that comes out next year, 'All the fun of the fair' has been touring and also been in west end, we've done 600 hundred shows with that, it is nice to get back to the music again with the forthcoming rock tour coming up. Such is David’s reputation and appeal that the prestigious awards dinner will be attended by the man himself and a raft of his celebrity friends. Coveted prizes will be up for grabs on the night to help raise money for Variety including luxurious hotel breaks, including an overnight at The Palace, a set of fine champagnes, decadent beauty products from Gatineau-Paris, a signed Liza Minelli theatre posted and a signed copy of David’s autobiography ‘Over the Moon’. David Gest has also generously provided a signed Kirk Douglas and Jan Sterling posted from the film Ace in the Hole and a rare black and white photograph of Whitney Houston with her own personal letter headed writing paper signed by the legendary singer herself which will be auctioned off at the event. A limited number of tickets are still available to the public with prices starting at £75 and all funds raised from the event will go to Variety to provide vital care and support for disabled and disadvantaged children across the North West.